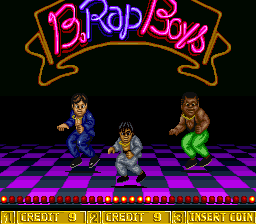 B. Rap Boys is the sequel to D.J. 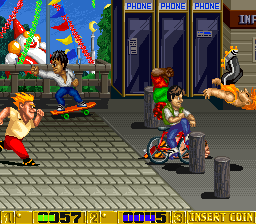 Boys from Sega. 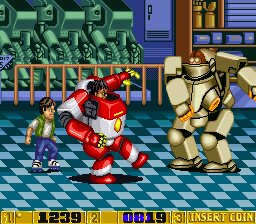 It features its predecessor's hip hop style and rollerskate-based gameplay but adds new vehicles, 3-player gameplay, distinct characters, and a hip hop soundtrack complete with lyrics. 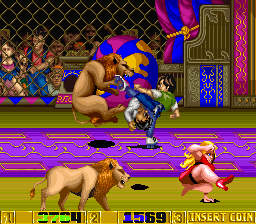 B. Rap Boys and Violent Storm are the only two arcade brawlers that feature music with lyrics. The US and Japanese versions have different intros. Namely, the characters are dressed differently. 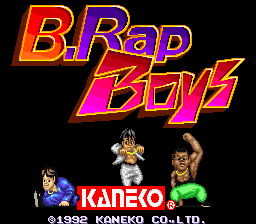 B. Rap Boys won me over immediately with its style and presentation. This is what D.J. 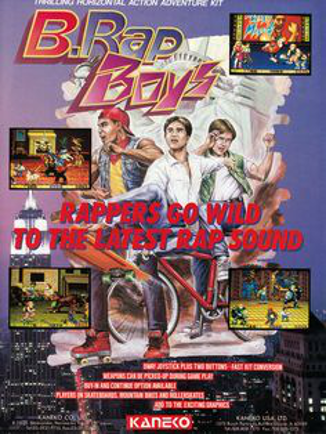 Boy should have been: more competent combat, plenty of variety, and an actual hip hop soundtrack featuring lyrics and legitimately sick beats. 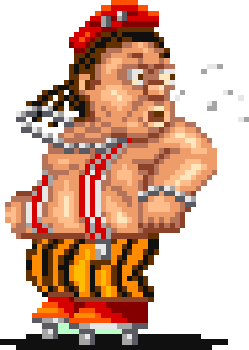 It does drag on in later levels, specifically because enemies have too much health. 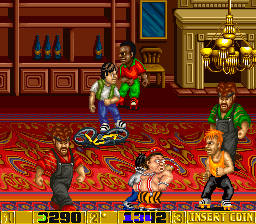 Overall it's still a one-of-a-kind game.